Programming can be a lot of fun, but you’ll need a laptop that is designed for your craft. I’m not what you call an expert “programmer” or “coder” as such, but I do know a fair bit of PHP, HTML and CSS. I find that having the right laptop to “code” on, speeds up tasks and processes, which in turn increases productivity. 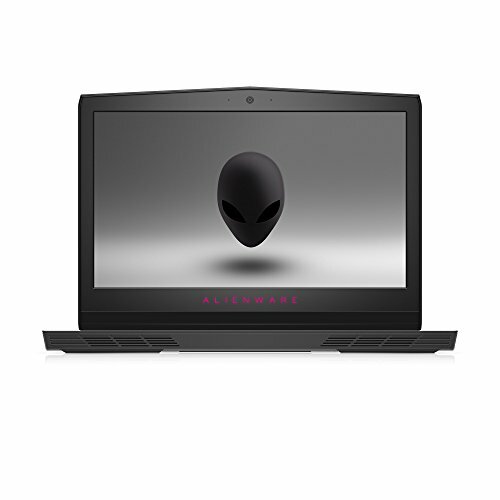 Personally I use an Alienware AW17R4-7005SLV-PUS 17″ Laptop as it ticks all the boxes for me. I love gaming, building websites and creating infographics. This laptop allows me to do all those things with ease. A laptop for all uses really. For optimal results, you’ll want to consider a laptop that has a great combination of execution, performance and power. The problem is that there are hundreds of different laptops to choose from, and although many of them will allow you to code applications, they might not be the best options for your needs. 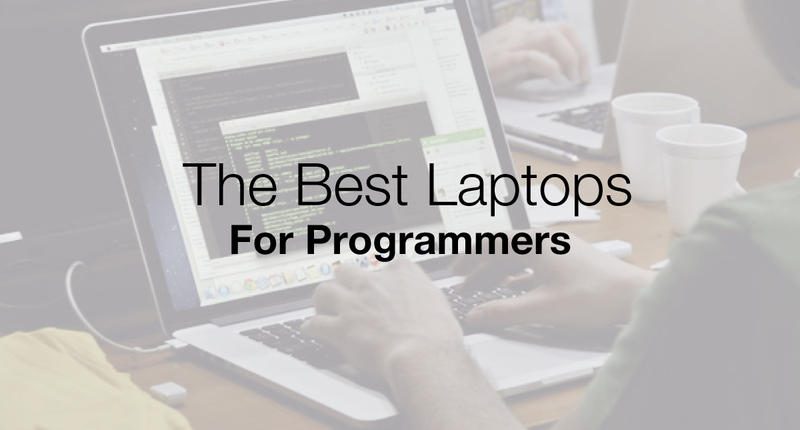 If you’re on a budget, you might find that it’s especially difficult to find the best laptop for programming. To find a laptop that is ideal for your programming needs as a web developer, you must know what to look for. 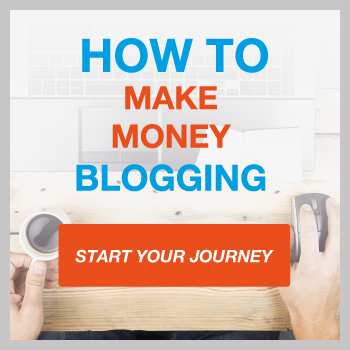 One of the first components that you must consider is the hard drive. Many modern laptops are equipped with an SSD drive, which is also known as a solid-state drive. In terms of performance, an SSD is much better than a standard hard drive because it’s much better at accessing stored information. For programming, you’ll want to consider getting a 256GB SSD, but you can also get good results from a 1TB standard drive. When you’re trying to program an application, speed is extremely important. You’ll spend a lot of time sifting through various files and folders. Since a SSD can access information very efficiently, you won’t have to spend too much time waiting for files to load. Due to the increase in speed, it’s almost always better to choose a smaller SSD over a larger standard drive. Whenever you click to open a file on your computer, the hard drive must sift through millions of data bits, which is why it takes a few seconds to load. An SSD stores information much more efficiently than a standard drive, so it’s able to access the information quickly. A computer’s memory can be thought of as an extension of its hard drive. The memory is very important because it stores the information that your computer needs to function. When programming, memory is important because all applications use memory to store operating instructions. Once you’ve finished writing some code, you’ll need to execute the code as a program, and your computer uses RAM to store the directions that tell the program what it should do. You can think of memory like a bucket, and it’s used to hold the instructions for your software programs. Memory is also important because it allows you to run several different programs at the same time, and when you have enough memory, the programs will run smoothly. A suitable amount of memory for a programming laptop is about 8GB, but ideally, you should consider getting a model that comes with 16GBs of memory. You must also realize that there are different types of RAM. For example, DDR4 RAM operates as a higher frequency, so it’s much faster than DDR1 RAM. A higher number yields faster speeds. When shopping for the best laptop for programming, you must understand that the CPU is extremely important. Like the brain inside of your head, the CPU handles every aspect of functioning that your computer engages in. The processor is like the brain for your computer. The CPU is responsible for handling millions of bits of information, and if your laptop doesn’t have a good CPU, the other components are almost useless. The power of a CPU is measured in Gigahertz, but a higher number doesn’t equate to a better processor. A newer processor might have a lower speed in Gigahertz than an older processor, but in terms of performance, it could be far superior. If you want the best possible programming experience, consider getting a laptop with an i5 or i7 processor. All processors have cores, and the higher number of cores offers optimal speed and performance. If you don’t want an Intel processor, you can get a laptop that has a newer AMD processor. When shopping for a laptop for programming, the specifications are very important, but many consumers don’t look beyond the specs. The process of programming applications involves sitting in front of a computer screen for long periods of time, which is why comfort features are essential. The best laptop for coding should have built-in features for comfort. The keys should be easy to press and comfortable, and the screen should be big enough to reduce eye strain. Programming can be difficult with a small screen because you’ll have trouble seeing what you’re doing. A graphics card is what your computer uses to handle games and graphics. For most programming purposes, the graphics card isn’t terribly important. In fact, you should be able to get away with a low-end graphics card. Most of the newer CPUs, such as the i5 and i7 processors, come with integrated graphics, and although they’re not good for dedicated gaming, they should work well for programming purposes. By going with integrated graphics, you can use the money that you’ll save to get a better processor, which is much more important for coding. If you must get a dedicated graphics card, consider something that has one or two Gigabytes of video memory. To determine the importance of battery life, you’ll need to consider where you plan to use your laptop. Many programmers find that they’re able to focus better when working in quiet, serene environments. For example, you might be able to perform your best work on a quiet park bench. If you’re going to spend most of your time near an electrical outlet, then battery life shouldn’t be a priority. However, if you think you’ll spend a lot of time programming away from a standard power source, then a laptop with longer battery life is worth considering. Shopping for the best laptop for programming should be a fun experience, and by compiling a list of some of the top products, we hope to make your life easier. Below, you’ll find a table and reviews for some of the best laptops for coding and programming. The HP 2017 IPS UWVA is my top choice because it offers the best performance for the money. If you’re on a tight budget and want to get an excellent laptop for programming, then consider getting this laptop. Not everyone has thousands of dollars to spend on a high spec laptop, so this model from HP is a great alternative and does everything you need it to do. To keep your applications running at lightning speed, the HP 2017 IPS UWVA Full HD laptop uses a Intel 7th Gen i7-7500U processor. Since it’s one of the newest generations of processors, the i7-7500U has no trouble processing millions of computations. For smooth performance, this laptop comes with 16GB of RAM, which is important for multitasking and programming. The dedicated AMD Radeon R7 M440 graphics card with 4GB Memory is complemented with integrated Intel HD Graphics 620. This might not win any awards, but it offers plenty of power for coding and programming. With a 15.6-inch, 1080p display, this laptop provides enough screen real estate to make coding comfortable. It comes with a 1TB HDD, which is ample storage space. Overall, this laptop offers the best value for the money. Below I’ve found a selection of laptops that are spot on when it comes to programming and coding. A good processor and decent RAM is vital for those who want to code their own websites, apps and software. Have a look and see what you think. If you’re not on a tight budget, then the Dell Latitude E7470 laptop is one of the best products available. Since it’s a high-end laptop for programming, it comes with an Intel Core 6th Generation i506300U processor. With two cores, the CPU is designed to handle programming tasks and can operate up to 3.0 GHz. The Dell Latitude E7470 has a 14-inch screen, which is large enough to reduce eye strain and squinting. The screen displays whatever you’re working on in full HD and comes with anti-glare LCD technology. It even has an integrated microphone and webcam. 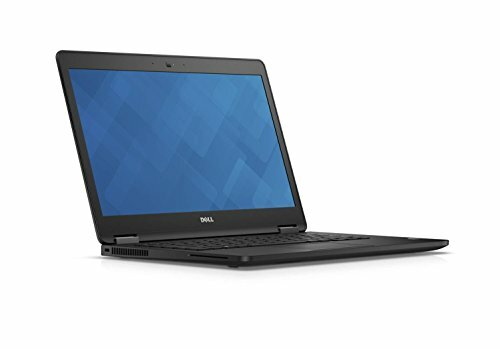 With 8GB of DDR4 memory, the Dell Latitude E7470 runs applications smoothly and delivers an excellent experience for programmers. The 256GB SSD retrieves information quickly, which is important for coding. The built-in keyboard is designed for comfort, and it’s especially useful for the long hours needed to program software applications. Since it has integrated Intel HD graphics, the Dell Latitude E7470 isn’t ideal for gaming, but it’s one of the best products for programmers and coders. Apple is one of the most well-known companies in the world, and some consumers prefer Apple products over the alternative. 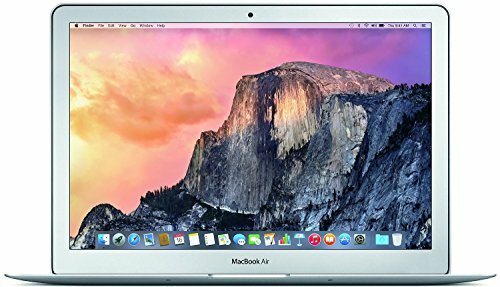 The Apple MacBook Pro MF839LL/A is another top laptop for programming. The 2.7 GHz Intel Core i5 processor delivers superior performance, and it offers a turbo speed up to 3.1 GHz. It has a 3MB shared L3 cache and has no trouble computing millions of instructions. It comes with 8GB of DDR3L RAM, which is important for multitasking. It has 128GB of PCIE flash storage, so it’s able to load files very efficiently. Since programming involves the constant opening of files and folders, an efficient storage device will make your life much easier. 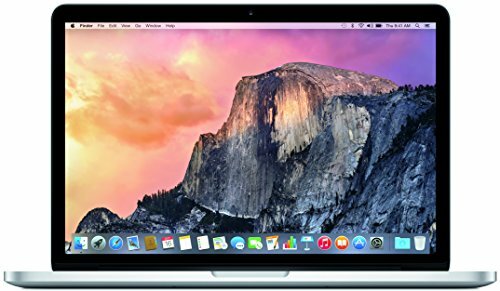 The Apple MacBook Pro MF839LL/A features a 13.3-inch IPS Retina display, and the screen resolution is 2560×1600. It has Intel Iris graphics and offers up to nine hours of battery life. With such high-end components, this laptop is one of the best products for coders and programmers. Since they tend to be optimized for performance, gaming laptops double as some of the best options for programming. At the heart of the ASUS K501UW-AB78, an Intel Core i7-6500U processor handles millions of computations. It has a base clock speed of 2.5GHz, but once the turbo boost kicks in, the base clock speed can run up to 3.1GHz. For easier programming, this laptop has a 15.6-inch display, which delivers full HD resolution. It comes with the Windows 10 operating system, and the graphics are powered by an NVIDIA GeForce GTX 960M, which offers a staggering 8GB of dedicated video RAM. The ASUS K501UW-AB78 has a 512GB SSD, so it can quickly store and retrieve important information, and it offers some of the fastest Wi-Fi available. Although it’s quite expensive, the ASUS K501UW-AB78 is one of the best high-end laptops for coders. Here we have a popular mid-range laptop for coders. It has a 15.6-inch display, which features touchscreen technology. The display is backlit with LED lighting and helps to reduce eye strain. This laptop features IPS technology and can be flipped and folded. For easier programming in low-light conditions, it has a backlit keyboard. To give you maximum performance, the Lenovo Yoga 710 comes with a 7th Generation Intel Core i5-7200U processor, which operates at 2.5Ghz. With the turbo boost feature, the processor can reach a clock speed of 3.1GHz. This laptop comes with 8GB of DDR4 SDRAM, and the RAM can be expanded to 16GB. The Lenovo Yoga 710 comes with a 256GB Solid-State Drive and Intel HD graphics 620. With a four-cell lithium polymer battery, it delivers on average an impressive eight hours of battery life. Despite the name, this laptop has nothing to do with yoga and offers plenty of mid-range performance for programming and coding. 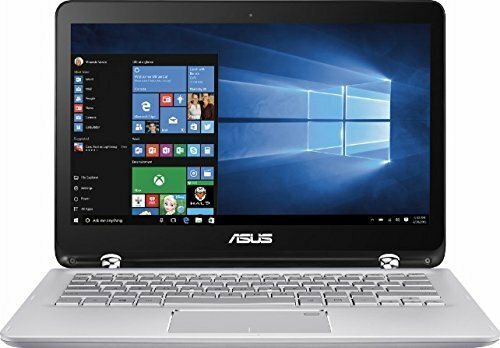 The ASUS Q304UA is another mid-range laptop, and it features an Intel Core i5-7200U processor, which uses two cores to deliver more processing power. The CPU’s base clock speed is 2.3Ghz, but it can turbo boost up to 3.1Ghz. With Intel HD graphics 520, you won’t be doing any serious gaming with the ASUS Q304UA, but you can enjoy countless hours of smooth programming. It has a 13.3-inch full HD display, which features LED backlighting. For greater convenience, this laptop features a flip-and-fold design. To make managing several different applications smoother, the ASUS Q304UA comes with 6GB of DDR3L SDRAM memory, and you always have the option to expand the memory to 12 Gigabytes. A 1TB ATA hard drive offers plenty of room for files, so you’ll have no trouble storing and retrieving your biggest programming folders. Overall, the ASUS Q304UA is one of the best mid-range laptops for programming. The 2018 Dell 15 3000 Touchscreen is another mid-range laptop, and it offers several features that programmers will find useful. With a 15.6-inch backlit touchscreen LED display, it delivers HD resolution. You can enjoy popular applications in 720p, and it comes with Bluetooth, HDMI, MaxxAudio, webcam and Ethernet. For fast, effective coding, the Dell 15 3000 gives you an Intel Core i3-7100U processor, which has a base clock speed of 2.4Ghz. The CPU is designed with enough performance for programming, and it comes with integrated Intel HD 620 graphics. It has 16GB of DDR4 RAM, and a 256GB SSD drive gives you plenty of lightning fast storage capacity for large files. This laptop comes with the 64-bit version of Windows 10, and it should support your favorite programming software applications. There are both USB 2.0 and USB 3.0 ports, as well as HDMI, card reader and audio jack. A great all rounder in terms of connectivity options. 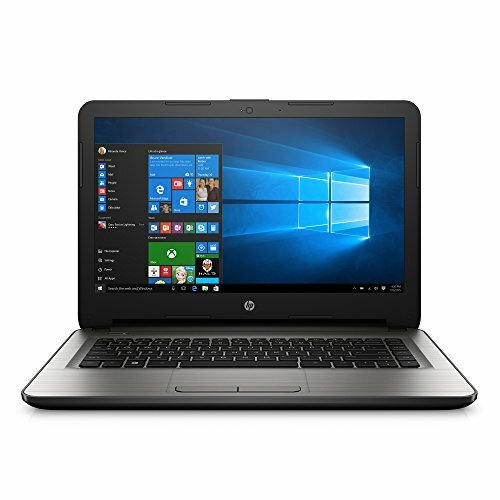 If you’re on a tight budget and need a cheap laptop for programming, then consider the HP 14-an013nr. It doesn’t come with the bells and whistles that you’d get from a high-end computer, but it offers enough performance for programming. The HP 14-an013nr features a 14-inch full HD display, which is important for coding. It uses an AMD E2-7110 1.8Ghz processor to compute millions of instructions. Since the processor has four different cores, it’s able to process computations much faster than single-core processors. This laptop comes equipped with 4GB DDR3L SDRAM memory, so it can crunch complex computing instructions and keep your programming experience enjoyable. With the new Windows 10, the HP 14-an013nr allows you to bring your ideas to life. The Acer CB3-131-C3SZ can work well for light programming and coding. Since it’s equipped with an Intel Celeron N2840 2.16GHz processor, it’s not the fastest laptop on the market, but it can be used for basic programming. It comes with 2GB of DDR3L SDRAM, which is enough for many applications. One of this laptop’s greatest features is the 16GB Solid-State Drive. Since an SSD allows you to store and retrieve information much more quickly than a standard hard drive, it’s ideal for coding and programming. This laptop has an 11.6-inch HD screen and delivers Intel HD graphics. 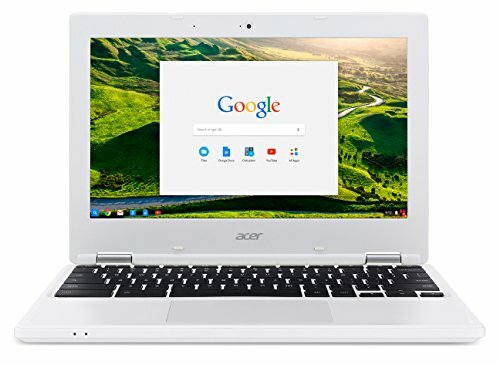 Since its components aren’t terribly strong, the Acer Chromebook CB3-131-C3SZ can run for nine hours on a single battery charge. It features wireless connectivity and offers component that are suitable for basic programming purposes. 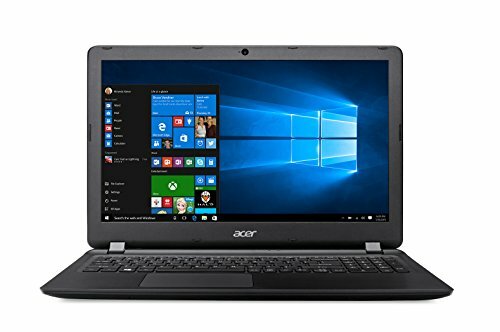 In terms of price, the Acer Aspire ES 15 is a cheaper laptop, but it’s good enough for basic coding. Although it’s not equipped with the newest Intel processors, it comes with a powerful Intel Core i3-6100U CPU, which has a base clock speed of 2.3GHz. The process is one of this laptop’s best features, and it’s capable of handling intense computations associated with programming. To prevent eye fatigue and give you productive coding sessions, this laptop is built with a 15.6-inch HD display. The screen features CineCrystal technology and LED backlighting. To ensure smooth application performance and multitasking, the Acer Aspire ES 15 has 4GB of DDR3L memory. With a 1TB hard drive, it gives you plenty of storage space for your programing and coding files. The battery delivers 6.5 hours of runtime, and the Windows 10 operating system helps to improve workflow and increase productivity. 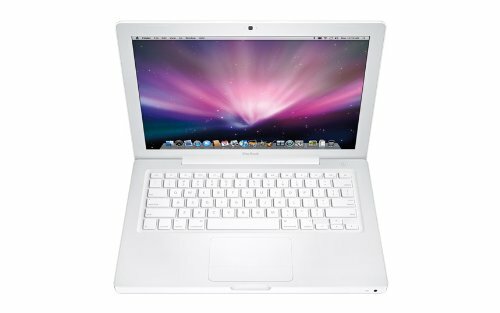 The Apple MMGF2LL/A is one of the best Apple laptops for coding. It comes equipped with a 1.6GHz Intel Core i5 processor, which features Turbo Boost technology. When an application requires a boost in processing power, the Intel Core i5 CPU can turbo boost up to 2.7GHz. The fast processor is excellent for programming, but the Apple MMGF2LL/A also offers plenty of RAM. It comes with 8GB of RAM and allows you to run several applications at once. When coding software applications, RAM is important because it stores the computational instructions that the software needs to function correctly. This laptop has great memory and processing power, but it’s also easy on the eyes. It features a 13.3-inch display that is illuminated by LED backlighting. The 1440×900 resolution gives you plenty of screen real estate to code complex applications and prevents the need to constantly scroll. It has Intel HD 6000 graphics and can run for 12 hours on a full battery charge. The Apple A1181 is another popular Apple product, and it can be very useful for programmers and coders. With an Intel Core 2 Duo 2.4GHz processor, it can handle complex computing instructions. The CPU is fast enough for most types of programming, so it won’t become a bottleneck in performance. The Apple A1181 has a 13.3-inch display and makes it easy to see everything on the screen. To keep your applications running smoothly, this laptop features 2GB of RAM, and for reasonable storage space, it has a 160GB hard drive. It’s one of the cheapest Apple laptops available, and although it doesn’t offer the best performance, it’s great for consumers who’re on a budget. Programming can be a very rewarding experience, but without a suitable laptop, it can quickly become a very frustrating experience. You don’t need thousands of dollars to get the best laptop for coding, but if you have plenty of money to spend, we’ve listed several great products to consider. Most types of programming don’t require extremely powerful performance, so you can make it work with a cheaper laptop and spend the leftover money on a comfortable chair and desk. Any of the laptops from this list will work well for programming, and at the end of the day, the product that you choose depends on the amount of money that you can spend. For people wanting a laptop that’s a bit more portable and multipurpose, have a look at my best 2 in 1 laptops guide. i=I always use hp. and it works great !!! Not sure why you included a Chromebook in this listing for developer laptops. Since Chrome OS is browser-based, your most likely going to be developing in the cloud using services like Orion, Koding, or Cloud 9. Also, I just got one of the new Dell XPS 13’s and it’s perfect for developing. Especially since I could get one that came with Ubuntu 16.04 installed, which is even better for developing than windows or even newer versions of OS X. I’m surprised this was left off of this list as well considering the price range. It has a small 13″ screen but it’s QHD+, touch screen, and can connect up to two 4K monitors. I’m looking into buying a new PC as well, and have read a lot of different opinions on that Dell XPS 13 Developer Edition. Especially regrading build quality. What’s your input towards that aspect? Yeah Chromebook isn’t probably the best programming laptop. You’re limited to web programming platforms. Unless, of course, you use a Linux emulator. But is it a Chromebook anymore then? Thanks for posting this. I’m just starting to learn about coding using the Odin Project, and I am hoping to get a new laptop soon so I can dig in further and eventually break free from my 9-to-5. As an extremely fresh noob, I found this post very helpful and clear! That’s great Sarah. I wish you all the best. I’ve been going back and forth between the Hp 15 and the Hp 14. I’m a freshman undergrad going into my first year of my computer science degree. The 15 sounds really good because of the SSD, which the 14 doesn’t have. The 15 is about $700 on Amazon not including tax and on walmart it is about $450 not including tax, but it is sold out and I have no idea when they will restock. The 14 is only about $300 on amazon. the $300 and $450 are more in my price range considering I am a college student. 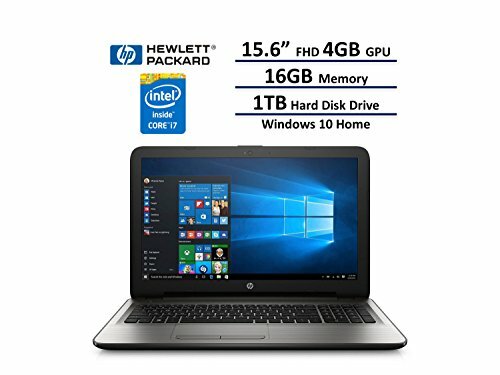 I want the 15 because of all it’s advantages but would the 14 still be a reliable programming and coding laptop? I would go with the 14 if that is what you can afford right now. Hopefully in a couple of years you’ll be able to afford the laptop of your dreams once you’ve successfully completed your degree and have a great job in technology. My son is doing computer Games Design & Development – BSc (Hons) Degree. He gets support as he is autistic. I want to buy him a laptop that will meet the requirements of his degree. I haven’t a clue! Any of these will do, but the AlienWare laptop at the very top is awesome. I use that one. That will probably do the job if he’s going to do a lot of coding for game development. 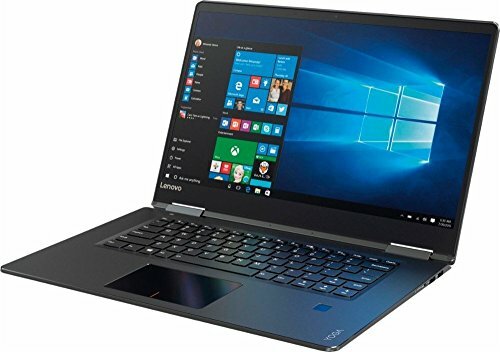 I have no idea which would be the better buy, thinking about at least a couple of years worth of service, I don’t play many games so this would really be for coding with the occasional office app. Being Christmas season the deals are out there, meaning there’s really only a couple of hundred dollars difference between makes and models. I need to make a decision but being new to this game, I could really use and would really appreciate your input and suggestion(s). To be totally honest with you, both are very similar. Personally the MSi pips it for me. no MSI in the list…your missing some of the best systems on the market GE63VR for example..
Hi Jamie. I just want more info about this laptop “dell inspiron i7, 7th gen. intel core i7-7500u” (model: IN5567i. Is this ok for programming? With spec like that, the Dell i7 can handle most things, so yes its awesome for programming. 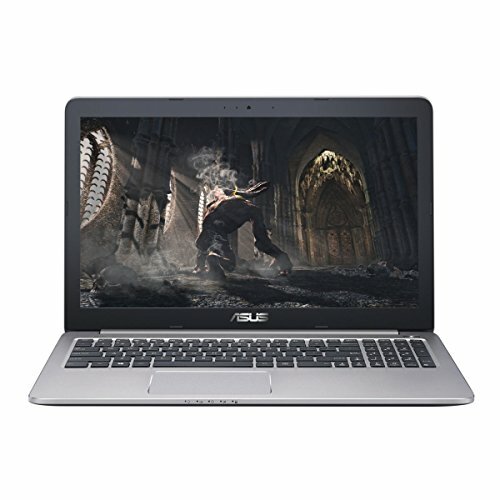 Hi Jamie, i just wanted to ask, does Asus vivobook s15 good for computer programming? or would you recommend any other better brands? Yeah that’s a pretty decent model, although I’d go for more ram than the 8gb. Try the Lenovo ThinkPad E470 16gb instead. PS I’m sorry if my English is bad I’m not a native speaker. Not bad. But I’d probably go for more RAM. Maybe this one would be better suited to your needs. Hi Jamie, I have been looking into upgrading computers and I happily stumbled upon your guide here and it has really helped inform me and guide me! However, I am a college student and I just added computer science as a second major and I will start taking classes again this coming September, however I am at a loss of what computer would really suit me. I have a series of programming and coding classes that I will be taking soon and I have a feeling my current computer won’t be able to keep up as well as others I’ve been looking at. I also would love to start PC gaming and I know that a gaming computer that optimizes processing power would be helpful for my programming and coding needs. I have been looking at the ASUS ROG Strix GL503 and it seems to be like something that could work for my needs? Here are the specs. Any advice on this computer you can give will be so helpful! Thank you! That’s a pretty dope laptop! I think the spec on this one is decent and would be a good buy for your current use. All the best. 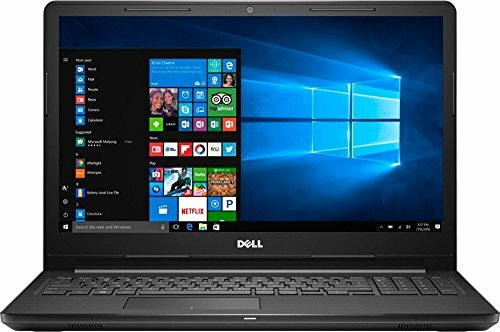 I am a programming student and would like to know how good the Dell Inspiron 15 Gaming 7567 15.6-inch Laptop (7th Gen Core i7-7700HQ/16GB/1 TB HDD +256GB SSD/GTX 1050Ti 4GB Graphics is for me.